Cosmoprof Asia 2017 is the largest and most prestigious international beauty trade exhibition in the APAC region. 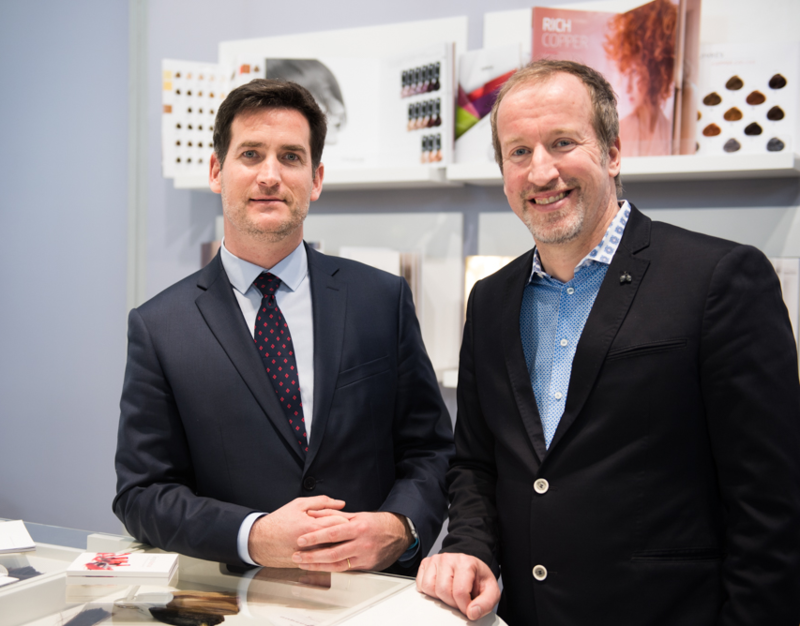 With over 83,796 international visitors and 2,877 exhibitors from all over the world, Cosmoprof Asia is the ultimate trade show for this industry. So George Mathai was present at the appointment! 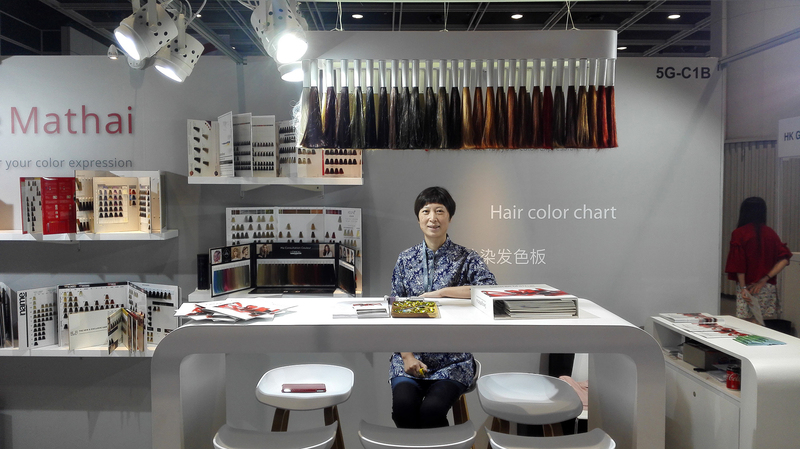 Our booth was situated in the hall for hair Products, equipment and salon furnishings. 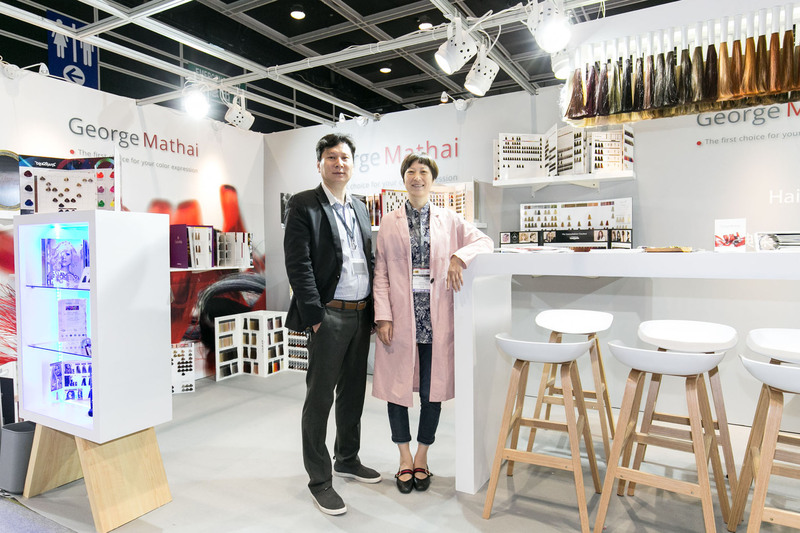 And the team of our new group George Mathai, around George Mathai China with Mrs Li, was pleased to introduce to its customers and also to the interested visitors the new large George Mathai product portfolio. 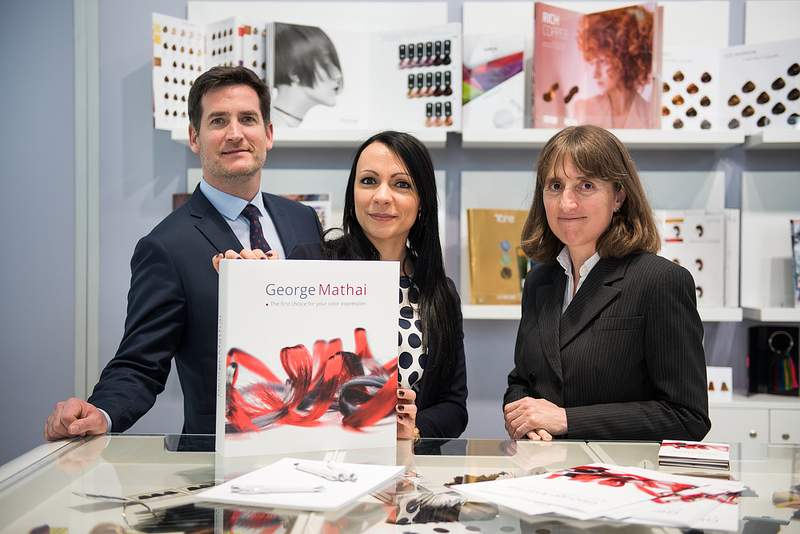 For the first time since the merger of our two companies, the new holding GEORGE MATHAI inaugurated its new stand at the Cosmoprof of Bologna, the most international event for the professional beauty. 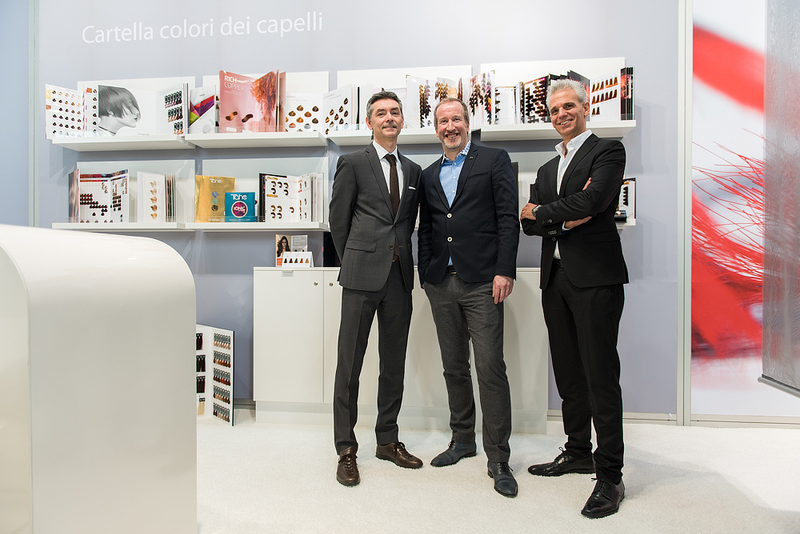 It was the opportunity to welcome our customers and present to them our new identity, our largest catalog of products and services. Our design target was to have on one side an open area for communication and a cozy corner for more private communication with customers. The two highlights on the booth were the frame with 4m high fiber strands and the nice display with a screen where we showed our different type of fibers and the corporate GEORGE MATHAI company video. 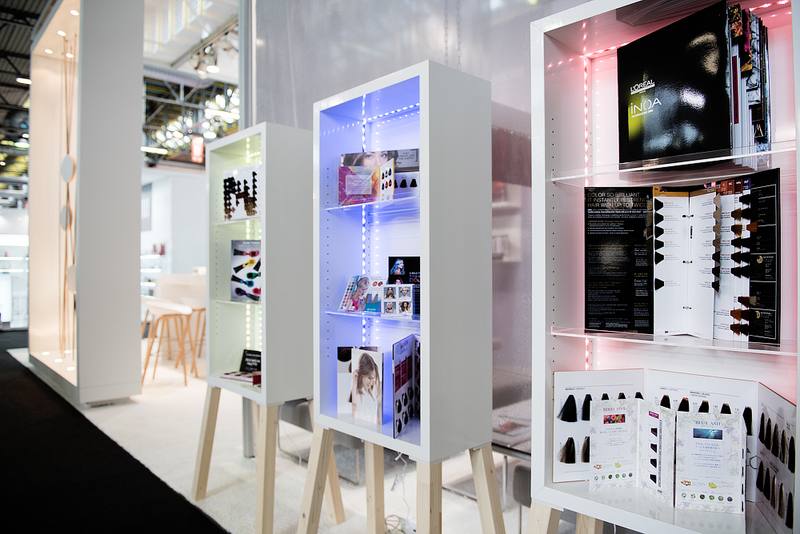 The stand was made by the german agency, Atelier Verfürth.